DemuxToy Lite is a free version of an MPEG Transport Stream Analyser, originally used as an in-house tool for a CE set-top-box manufacturer to troubleshoot professional DVB set-top-boxes. 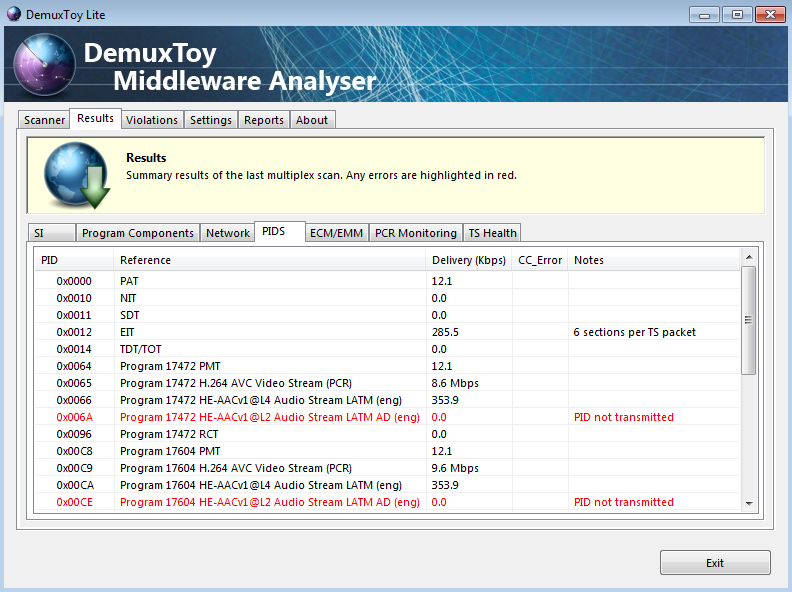 DemuxToy Lite is a free version of an MPEG Transport Stream analyser originally used as an in-house tool for a CE set-top-box manufacturer to troubleshoot professional DVB set-top-boxes. It provides a detailed, 1st level down view of the activity within an MPEG/DVB transport stream, plus an SI -> XML conversion report, containing over 100+ DVB/MPEG descriptors decoded to human readable form.